What about Einstein getting credit for E=mc^2? In the early 1950's Pais asked Einstein how he had been affected by Poincare's Palermo paper. Einstein said he had never read it, so Pais loaned him a copy (which was never returned). Thereafter, in the few remaining years before his death, Einstein urged people to give Poincare his due credit for the insights contained in the Palermo paper. Had he written his comments for the Schlipp volume in 1953 instead of 1946, my guess is that he would have credited Poincare instead of (or along with) Minkowski for the 4D formalism and rotations. People have different assessments of who should get what credit for special relativity based on their differing understandings of what special relativity is. Lorentz and Poincare were focused on electrodynamics, and thought (for example) that the mass of the electron must be due to electromagnetic self-induction, but Einstein showed that we must expect all mass, even of neutral particles, to exhibit the inertia of their energy, because the significance of the Lorentz transformation goes beyond its relation to Maxwell's equations, and actually represents the relationship between the inertial measures of space and time. This is the crucial insight that is credited to Einstein, and it changed how physicists view the world just as much (if not more) as the shift from the earth-centric to the heliocentric view did. That's why Einstein was viewed, both by his contemporaries and by posterity, as the originator of a great insight. Your ideas about the origin of gravitational waves are wacky. The idea that gravity might propagate at a finite speed, and even that it might propagate at the speed of light, far precedes Poincare, and of course a finite speed of propagation entails waves. Naturally if we accept the relativity principle then gravity needs to be reformed to propagate at the speed of light, and there will be a magnetic analog, etc., but Lorentz had already shown that Laplace's aberration argument doesn't apply to relativistic "forces", so we can't credit Poincare for this. Also, this insight doesn't constitute the general relativistic theory of gravity, let alone of gravitational waves. Poincare was working in flat space-time, with a single gravitational potential, whereas the modern theory of gravity, created by Einstein, has 10 gravitational potentials, and is far beyond anything Poincare ever imagined. Your claims about "Ricci-flat" and Grossmann and Hilbert are equally wacky. Grossmann just helped Einstein learn Riemanian geometry, which was taught in schools around the world, and the issue with Hilbert just concerns the trace term, which is irrelevant to the propagation of gravitational waves in vacuum, and which really falls out from Bianchi's identities anyway. Overall, I think your efforts to denigrate Einstein's contributions are not well founded. It seems to me you are attacking a cartoonish image that may have been presented to you in your youth, and when you became acquainted with some hints of the realistic facts (gasp! George Washington actually told some lies! ), you felt duped and betrayed, so you embarked on this iconoclastic crusade to tear down the false idol. The reality is more interesting, but to really appreciate it, you need to "speak the language" and actually understand the subject. Read Einstein's 1918 paper on gravitational waves, and compare with Poincare's Palermo paper. Then judge. Do you really believe that Einstein first saw the Poincare Palermo paper in the early 1950s? How would that even be possible? A more likely explanation is that Pais was the first to threaten to publicly embarrass Einstein over the matter. You say that Einstein had some "crucial insight" that differed from Lorentz and Poincare, and that it "changed how physicists view the world". I cannot find any documentation for either of these opinions. Where did Einstein ever say that Lorentz or Poincare were wrong about electron mass? Where did any other physicist at the time say that Einstein's insight, as opposed to Lorentz's and Poincare's, changed how he viewed the world? There were physicists who said that special relativity changed their view. Poincare himself said that it was like the shift from earth-centric to heliocentric. But he said that before he had ever heard of Einstein, so he certainly was not talking about any insight of Einstein's. You say "the modern theory of gravity, created by Einstein", as if general relativity were Einstein's sole creation. See this history of general relativity for a good summary. Most of the crucial ideas came from others, not Einstein. Opinions differ on whether to credit more the mathematical or physical developments. I don't know which camp you are in, as you seem to over-credit math done by Einstein, and dismiss math done by anyone else. Admittedly, I have not read Einstein's 1918 paper on gravitational waves. I do not doubt that it goes much deeper into waves than Poincare's 1906 paper. "Do you really believe that Einstein first saw the Poincare Palermo paper in the early 1950s? How would that even be possible?" The paper was published in 1906, in French, in an Italian math journal, “Rendiconti del Circolo Matematico di Palermo” (Reports of the Mathematical Circle of Palermo), a quirky choice for a physics paper, and not a journal that would have been typically read by German physicists. Even Poincare’s friends, when promoting him for a Nobel prize in 1908 were unaware of it. It was so hard to get, that other promoters of Poincare arranged to have it re-printed later so it would be more widely read. It was a second-hand exemplar of this Gauthier-Villars reprint that Pais had acquired and loaned to Einstein in 1952. And it wasn’t just Einstein who didn’t mention the paper in the early days of relativity, it was not highly cited in the avalanche of papers written on relativity after Minkowski’s 1907, and it was famously omitted from the Meuthen collection in 1923. Even Pauli had to be firmly prompted by Klein (the mathematician) to include mention of Poincare’s paper in the 1921 Encyclopedia article. Naturally Poincare had sent a copy of the paper to Lorentz, and Lorentz’s reaction was basically “I’m glad to see that you agree with my theory.” Of the few citations of the Palermo paper, it was usually for the “Poincare pressure”, or for correcting Lorentz’s transformation of electric charge. Oddly, Poincare was almost never cited during 1906-1952 for anticipating Minkowski’s 4D spacetime formalism, which jumps out at us today. This may be because most of his proponents (e.g. Guilliame) had nothing but contempt for the 4D concept of spacetime, and preferred to present Poincare as the champion of their own anti-Einsteinian views, which favored the ether and Neo-Lorentzian absolute time, etc. Poincare’s writings contain enough statements to give such people ammunition to claim that he espoused this view. Even Whittaker had his own agenda for promoting Poincare, whose view was more compatible with Whittaker’s beloved ether. In any case, to answer your question, it wouldn’t surprise me if Einstein had read (or at least read a report of) Poincare’s paper by 1919, because he mentioned “Poincare’s pressure” at that time. But I think Einstein quite possibly read Minkowski’s 1907/8 before he read Poincare’s 1906, so it would be true to say that Poincare didn’t affect Einstein’s thinking on the 4D formalism. Einstein and most other physicists first got the 4D formalism from Minkowski, not Poincare. 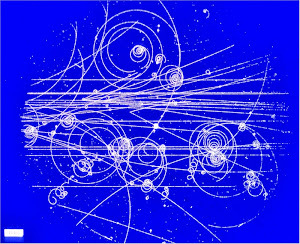 This likely explains why physicists (including Planck, et al) almost unanimously credited Minkowski for the 4D formalism, at least until the 1950’s, when the debate over Whittaker’s book and other writings prepared for anniversaries of the 1905 events prompted some historical re-thinking, perhaps even for Einstein himself, when prompted by Pais. I don’t think Einstein had any special love for Minkowski, and would have been just as happy to credit Poincare for the 4D formalism… although it must be said that Minkowski presented and developed it far more robustly than the few hints in Poincare’s paper, so it would be wrong to slight Minkowski. "A more likely explanation is that Pais was the first to threaten to publicly embarrass Einstein over the matter." I don’t think that’s a likely explanation. After studying the literature, Pais believed that Poincare never understood relativity, and that it really was Einstein’s discovery (just as Lorentz had said). The matter of attributing the 4D formalism to Minkowski over Poincare is not something that would prompt threats or embarrassment. "You say that Einstein had some "crucial insight" that differed from Lorentz and Poincare, and that it "changed how physicists view the world". I cannot find any documentation for either of these opinions." You can’t? Max Born was Minkowski’s assistant, and had studied the papers of Lorentz and Poincare, but never heard of Einstein until 1907, when Professor Loria from Crackow came to Gottingen for a visit, and was told by Professor Witkowski “A new Copernicus is born! Read Einstein’s paper!”. Loria and Born went to the library, found a copy of vol 17 of the 1905 An der Phy, and read the paper. Born later wrote: “Although I was quite familiar with the relativistic idea and the Lorentz transformations, Einstein’s reasoning was a revelation to me… which had a stronger influence on my thinking than any other scientific experience”. Born’s reaction was similar to that of many other physicists of his generation. "Where did Einstein ever say that Lorentz or Poincare were wrong about electron mass? " Middle of Section 10 of the EMB paper in 1905. "Where did any other physicist at the time say that Einstein's insight, as opposed to Lorentz's and Poincare's, changed how he viewed the world?" See above. Born happens to be an excellent source, because he was uniquely already familiar with the writings of Lorentz and Poincare as Minkowski’s assistant, and had published on electron theory himself, when he read Einstein’s paper. In this context, Einstein’s paper had a huge impact on his thinking. Even years later, Heisenberg (Born’s assistant) credited Einstein for inspiring him in the creation of quantum mechanics, because of Einstein’s bold use of the positivistic approach (only observables matter). Einstein was the darling of the positivists at that time. Poincare and Lorentz persisted to the end of their lives talking about the unobservable ether. "There were physicists who said that special relativity changed their view. Poincare himself said that it was like the shift from earth-centric to heliocentric. But he said that before he had ever heard of Einstein, so he certainly was not talking about any insight of Einstein's." Poincare actually said “In [Lorentz’s] theory, two lengths are equal, by definition, if they are traversed by light in equal times. Perhaps if we were to abandon this definition Lorentz’s theory would be as fully over-thrown as was Ptolemy’s system by Copernicus’s intervention.” He is not talking about an accomplished fact (perhaps, would be), he is speaking in the conjectural tense, struggling with the physical significance of length contraction (which he continued to struggle with for the remainder of his life), and wondering if the perplexity might be resolved by some new insight. He foresaw the revolution, but did not accomplish it. There is also evidence that Poincare toward the end of his life recognized Einstein's achievement, based on reports from a public lecture. "You say "the modern theory of gravity, created by Einstein", as if general relativity were Einstein's sole creation. See this history of general relativity for a good summary. Most of the crucial ideas came from others, not Einstein." That’s obviously not true. Your “good summary” is not a good summary. Even Whittaker credited Einstein for crucial insights leading to general relativity. "Opinions differ on whether to credit more the mathematical or physical developments. I don't know which camp you are in, as you seem to over-credit math done by Einstein, and dismiss math done by anyone else." I think it’s necessary to have a firm grasp of both the math and the physics, as well as an in-depth familiarity with the historical facts, in order to be able to form a fair and independent appraisal of who did what. "Admittedly, I have not read Einstein's 1918 paper on gravitational waves. I do not doubt that it goes much deeper into waves than Poincare's 1906 paper." Poincare’s paper doesn’t discuss gravitational radiation at all. He is merely talking about the absence of aberration in the force of gravity, which at first would seem surprising (based on Laplace’s observation) if the force is propagated at the speed of light, i.e., if the force is directed toward the retarded position of the gravitating body, not it’s current position, due to the posited delay in propagation of the force. 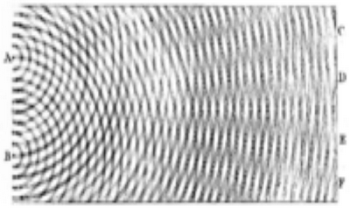 To describe this, Poincare refers to this force propagation as a “wave”, which in a sense it is, but not in the radiation sense. It is purely “near field dynamics”, not referring at all to “radiation field” effects. He is just explaining why the orbits of two orbiting bodies don’t quickly spiral away due to the first-order aberration effect that Laplace noted. He does not mention anything at all about the higher-order gravitational radiation that such a pair of orbiting bodies would emit. This is the kind of (quadrupole) gravitational wave that LIGO detected, and that accounts for the energy loss of binary pulsars, etc. Poincare said nothing at all about this kind of gravitational wave, i.e., gravitational radiation. You imply that German physicists might not have known about Poincare's Palermo paper. But Minkowski's most detailed relativity paper only has about 8 references, and 2 of them are to Poincare's Palermo paper. His more famous "Space and Time" paper did not mention Poincare, but did cite that more detailed paper. Every German physicist interested in relativity knew about the Palermo paper. A summary of the Palermo paper appeared in Comptes Rendus, a very widely read journal. Poincare's papers were written in French, but Einstein attended a French-speaking university, so presumably could read French fine. You say: "Einstein and most other physicists first got the 4D formalism from Minkowski, not Poincare." Maybe so, but Minkowski got the 4D formalism from Poincare. Minkowski's 4D paper was published 2 years after Poincare's 4D paper, and references Poincare's. Yes, Minkowski developed it more, but he got it from Poincare. You say: "Pais believed that Poincare never understood relativity". This is just crazy. Poincare was widely regarded as one of the smartest men alive. He published a startlingly original paper on relativity that was years ahead of everyone else, and he gets everything correct. And yet he did not understand the subject? How does that work? When has anything like that ever happened? I would sooner believe that Pais never understood relativity. You cite: “A new Copernicus is born! Read Einstein’s paper!” Yes, there were physicists who were impressed by Einstein's paper as an expository version of Lorentz and Poincare. You don't see any of them saying that Lorentz or Poincare were wrong about anything. Obviously they did not understand Lorentz and Poincare, and were pleased to see a dumbed-down version. Many more physicists were similarly impressed by Minkowski's "Space and Time" paper. That shows that the paper had good ideas in it, but does not show originality. I could say similar things about the first relativity textbook I read. Sure, it was exciting and it influenced my thinking. But that does not mean that the textbook author did anything original. I don't see where any physicists said: "Einstein's theory is superior to Lorentz's and Poincare's because Einstein is right about some point, and Lorentz and/or Poincare were wrong." No, they referred to the "Lorentz-Einstein theory" because no one saw any difference. Some did see a difference between the Poincare-Minkowski 4D view and Lorentz-Einstein, but no one could ever explain how Einstein's 1905 theory was any better than what came before. You say: "Einstein’s bold use of the positivistic approach (only observables matter)." Einstein's approach is pretty much the same as Lorentz's 1895 paper. Lorentz cites Michelson-Morley while Einstein prefers postulates distilled from Michelson-Morley, but the result is about the same. You say: "Poincare and Lorentz persisted to the end of their lives talking about the unobservable ether." This is more crazy talk. Lorentz and Einstein said about the same thing about the aether, as I explain. Lorentz later said "it makes no great difference, whether one speaks of vacuum or aether." Einstein later said that general relativity requires an aether. Poincare rejected the aether more than either one of them, and said that it was just a convenience. Also, I sometimes credit Larmor and others, for what they did. Eg, I credit him for time dilation. But he was not ahead of Lorentz's 1895 paper that had the low-velocity transformations. I will address a couple of your other points later.